I decided to start 2018 with a fresh, new look for this site. First, I designed myself a new logo. I tried to create a unique mark that taps into the spirit of those vintage toys that we all love. Next, I updated to a new WordPress theme. I was long overdue to make my site work better on phones and tablets, and this theme should do the trick. Finally, I’ve been working behind the scenes to make the site faster. When I first started this blog, I wanted to show large, sharp photos that were color-accurate. After awhile I realized that uploading full resolution photos right off my camera was overkill. So I started sizing my images to 1600×1200 – still large enough to view on a desktop, but a little quicker to load. Then, it was a matter of going back through all of the old posts and resizing those photos. I’m glad to say that process is complete. So whether you’re on a laptop or a phone, have a look around, browse around through the archives and click on a few photos to see them full size. I hope you enjoy the new, improved site – and please comment to let me know what you think. Thanks. 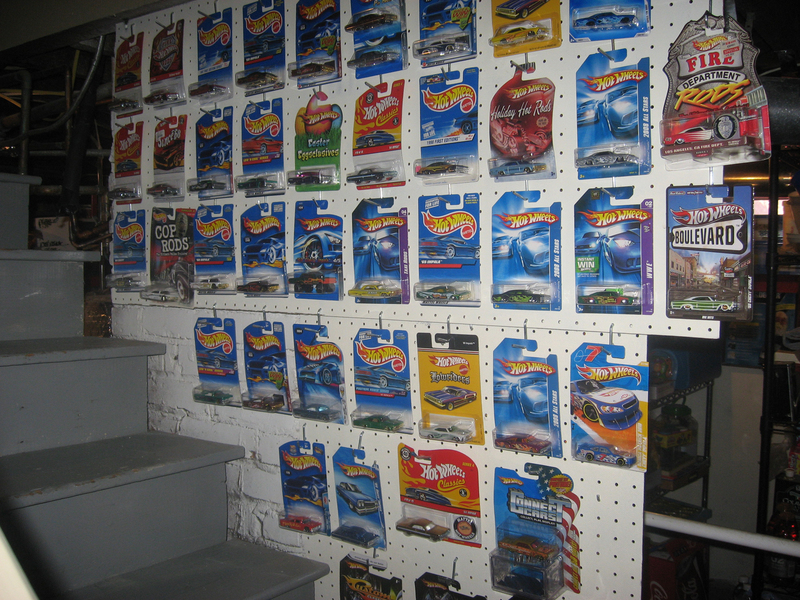 My brother Joe is doing some salvage work these days, and when I saw him at my family reunion in June, he brought me a bag of cars he had found in a house he was tasked with cleaning out. 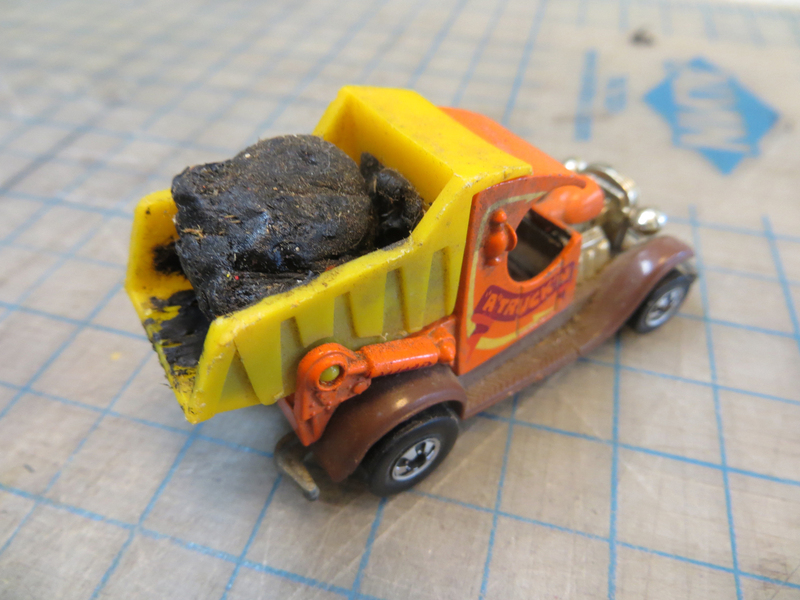 This Hot Wheels Dumpin’ A was coated with grime and had what appeared to be a chunk of modeling clay stuck in the back. I used a popsicle stick to remove most of the clay, then dissolved the rest with vegetable oil. After going over the rest of the car with a damp Q-tip, I had myself a pretty sharp car! 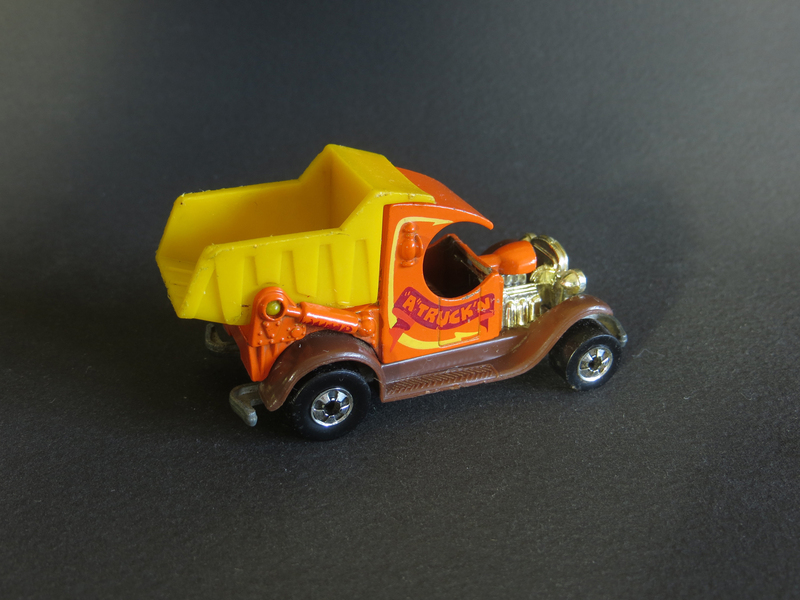 This Dumpin’ A from 1980, with its orange paint and yellow plastic dumper, is the opposite brother to the first casting from 1979, which is yellow with an orange dumper. 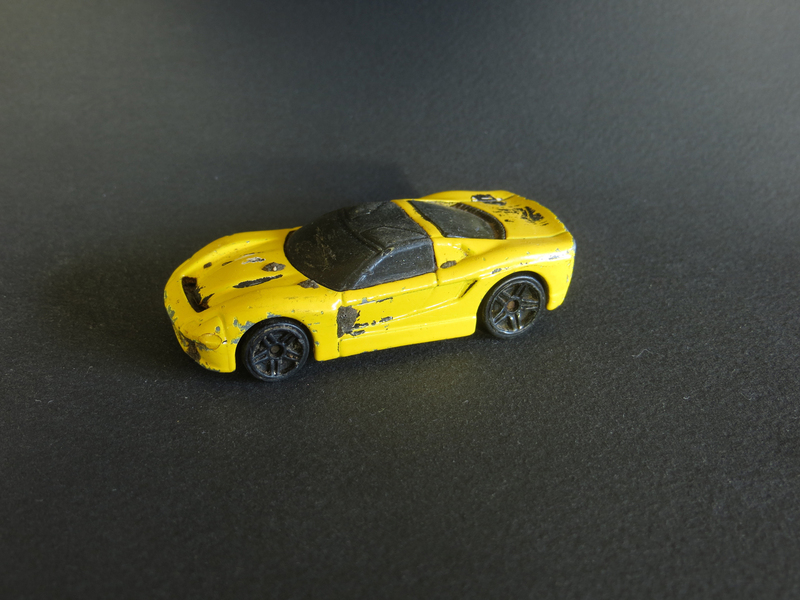 After looking over the rest of the cars in the bunch, I realized none of them would clean up well. So I decided to photograph them just as is. 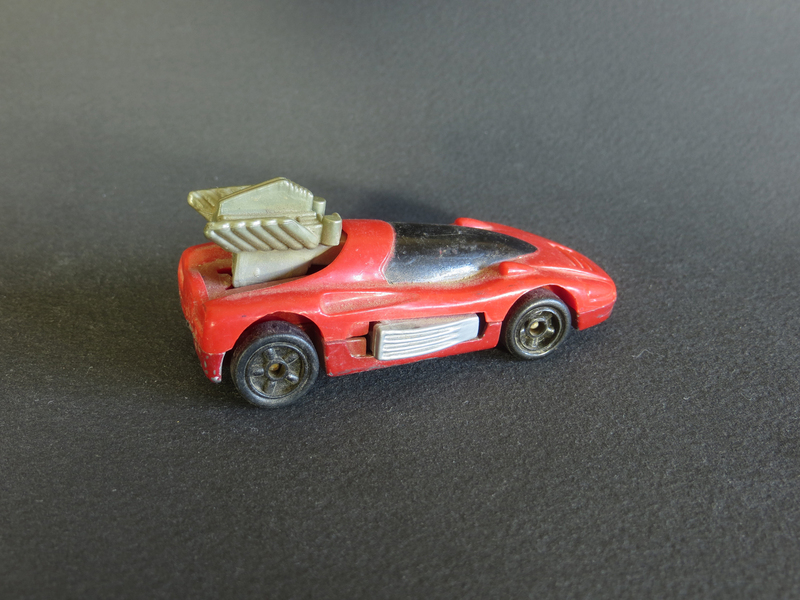 I often wonder about the history of the cars I acquire. How many previous owners did they have? Were any of them ever a child’s favorite toy? I’ve lived a pretty good life and have a hard time imagining the circumstances that would cause a family to leave a home with belongings still in it. I suspect these cars have some interesting stories they could tell. 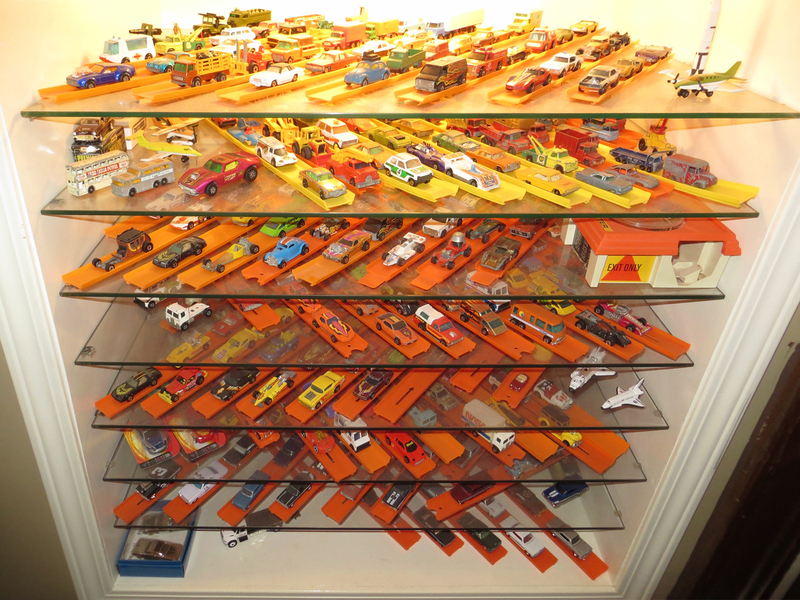 Majorette cars were first produced in France in 1964 by the Rail-Route company, which began in 1961 as a manufacturer of model railways. 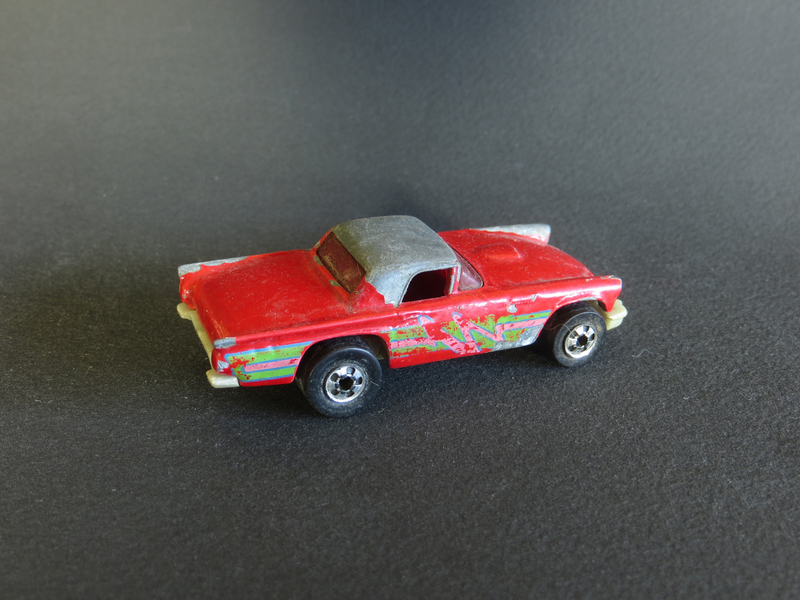 By 1967 the company was known as Majorette and it quickly became France’s largest model car manufacturer by revenue. In 1980, Majorette acquired Solido, the famous manufacturer of collectible models, and Majorette USA was established in 1982. In 1987, production was moved to Thailand and financial troubles in the 1990s caused a series of takeovers and a retreat from the U.S. market. The Majorette brand survives today as part of the Simba-Dickie Toy Group, with production split between China and Thailand. 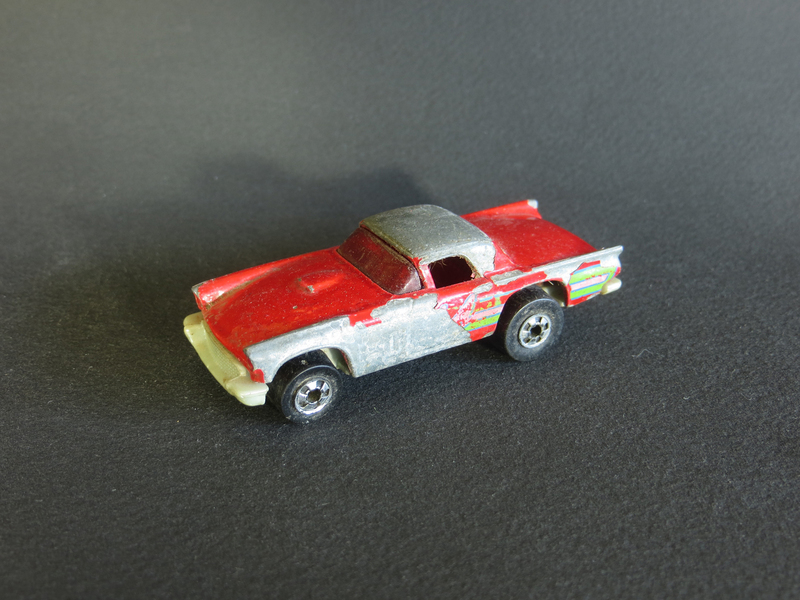 I only had one Majorette as a kid, the Dodge Camper. 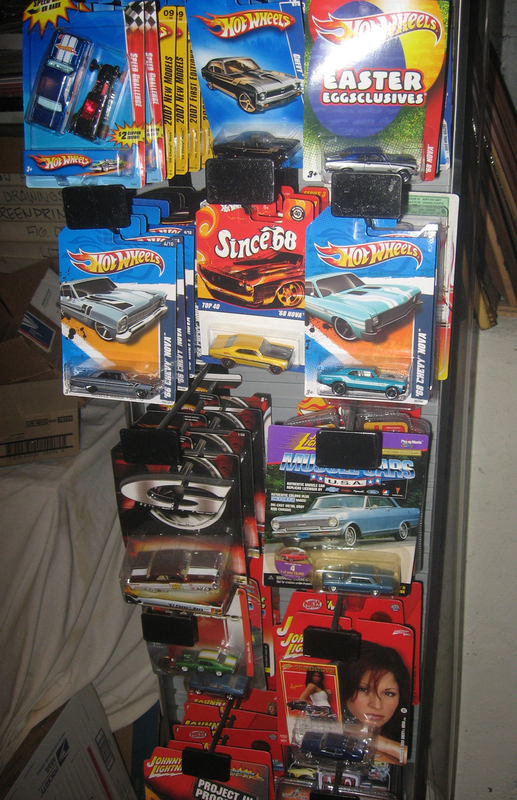 But the box of cars I got from RR contained several nice Majorettes, which, like my Dodge Camper, are all the French-made, metal-based models. Of all the cars from the RR collection, this Citroen Dyane Raid is probably my favorite. I love all of the details and decoration on the car. I also like that it’s still sealed in its original package, though the card and blister are both creased and worn. This nice Citroen Ambulance still has intact plastic flags and the plastic opening rear door. 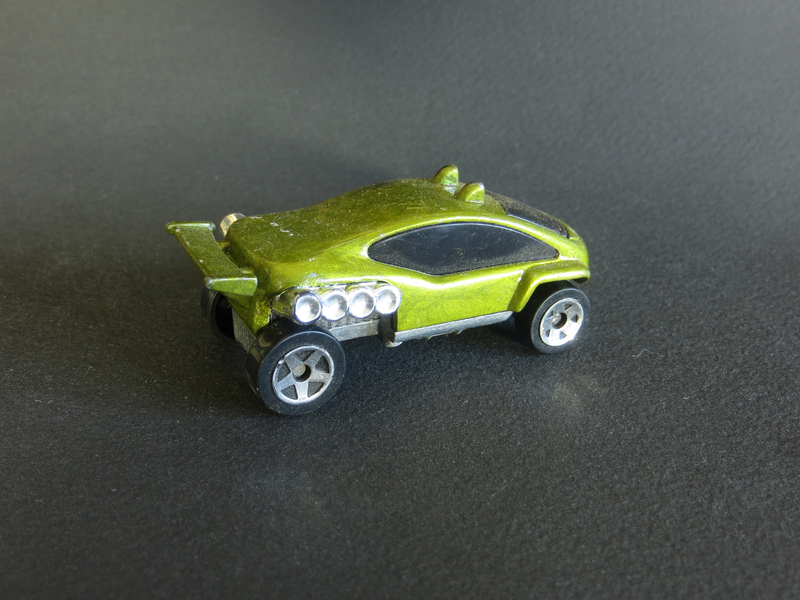 This Lamborghini Countach from 1983 is still in its blister tray. When I realized the reusable package had been opened, I took the car out and re-photographed it. My brother-in-law, John, is quite the world traveler these days. Earlier this year, he made a business trip to São Paulo, Brazil, came home for a few days, then was off to Europe. 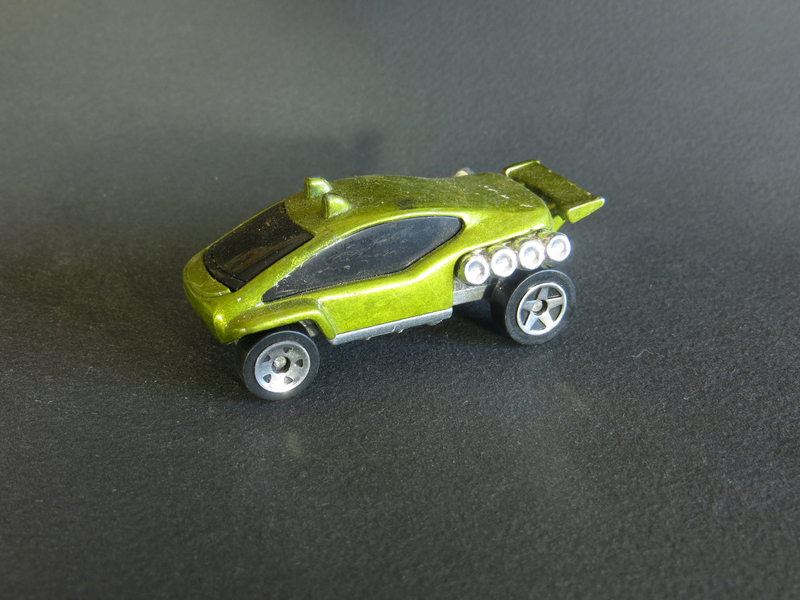 When he and my sister came to visit us this spring, he brought me these Majorette cars that he picked up in a convenience store in Munich. 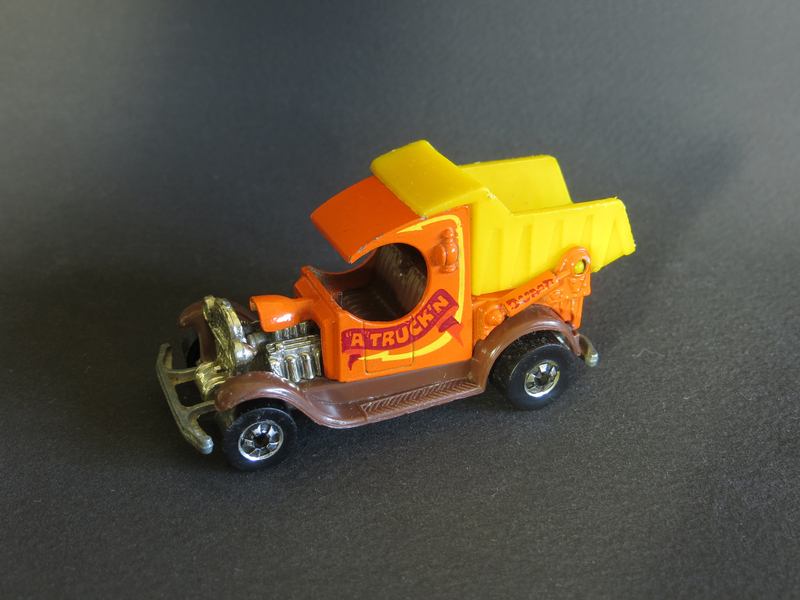 Majorette is a French toy manufacturer which was founded in 1961 as a maker of toy trains. 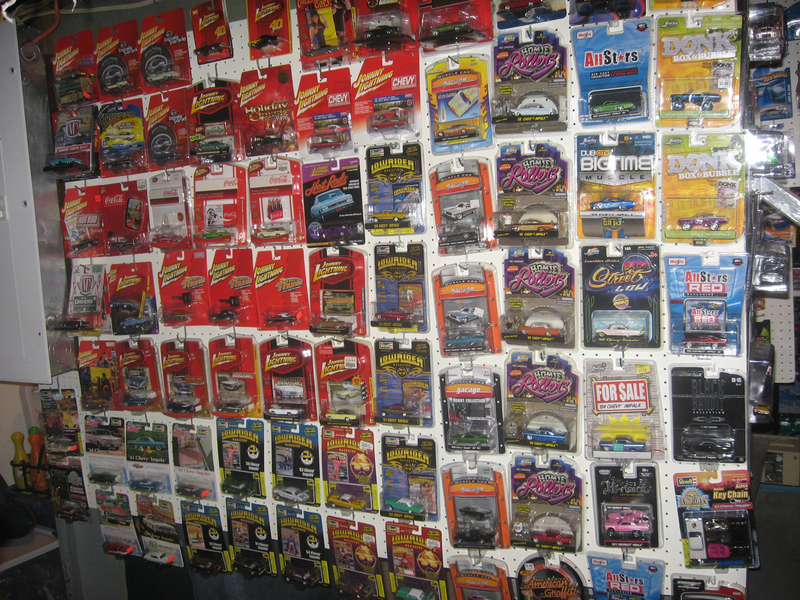 The first cars were added in 1964 and the models penetrated many world markets in the 1970s and 1980s. 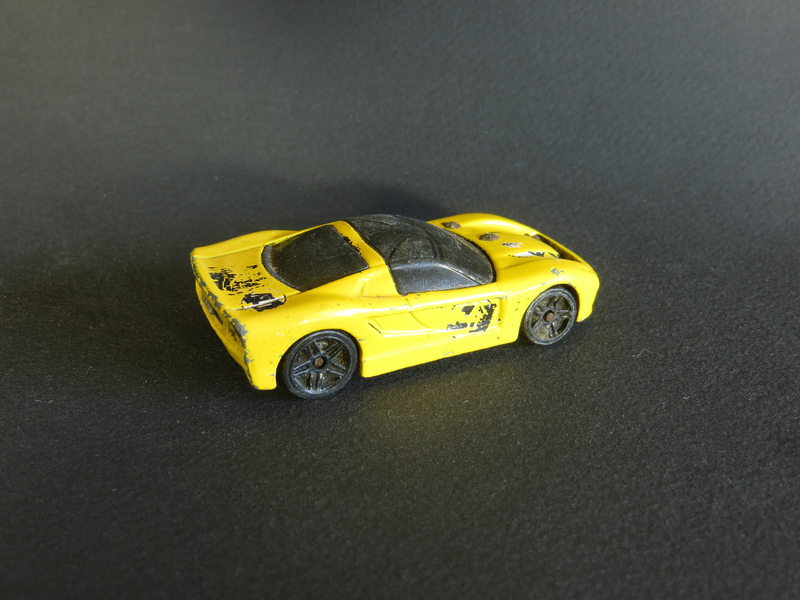 Today, the company produces mostly small-scale (1:64, or 2.5″ to 3″) models which feature opening doors and hoods. Major retail distribution is limited mainly to Europe, South America and Asia. 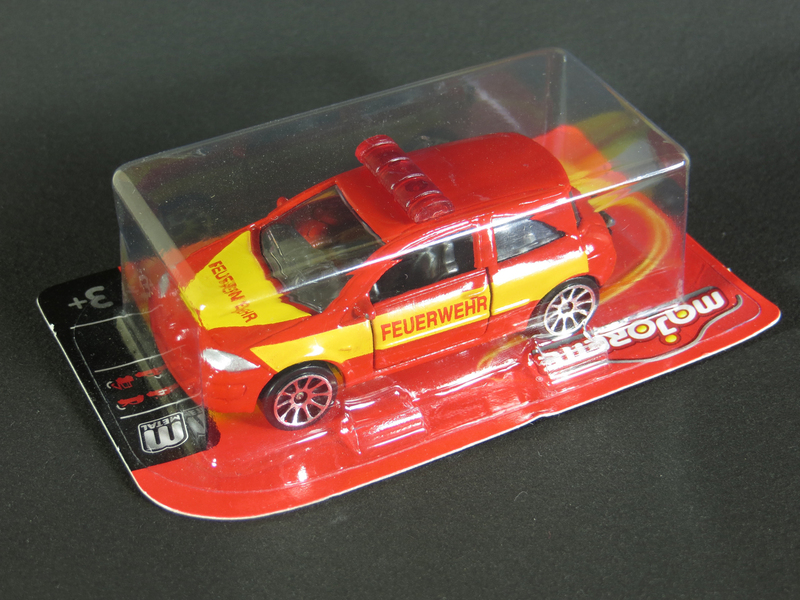 I did find both of these cars on the Majorette website, under the “S.O.S.” category. 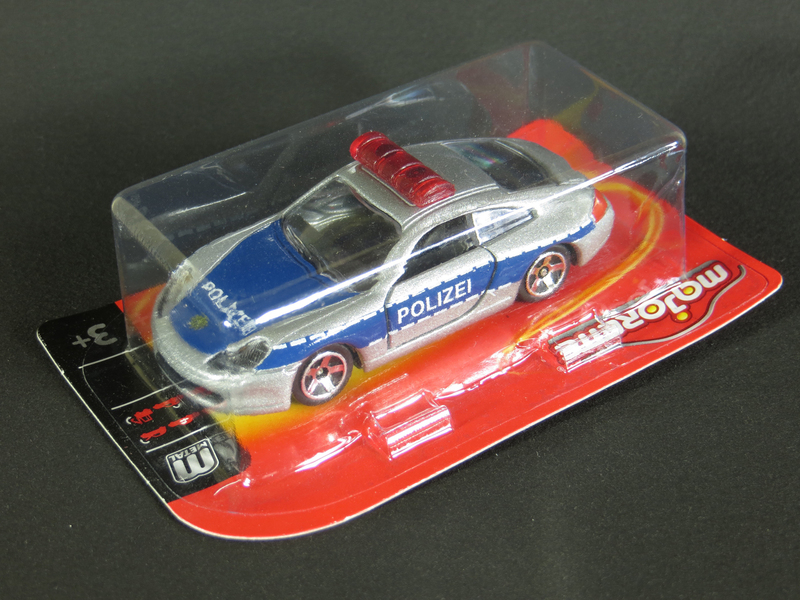 Interestingly, even when you click to view the Deutsch version of the site, the models are still pictured with English decorations (“Police” and “Fire Brigade” in place of “Polizei” and “Feuerwehr”). 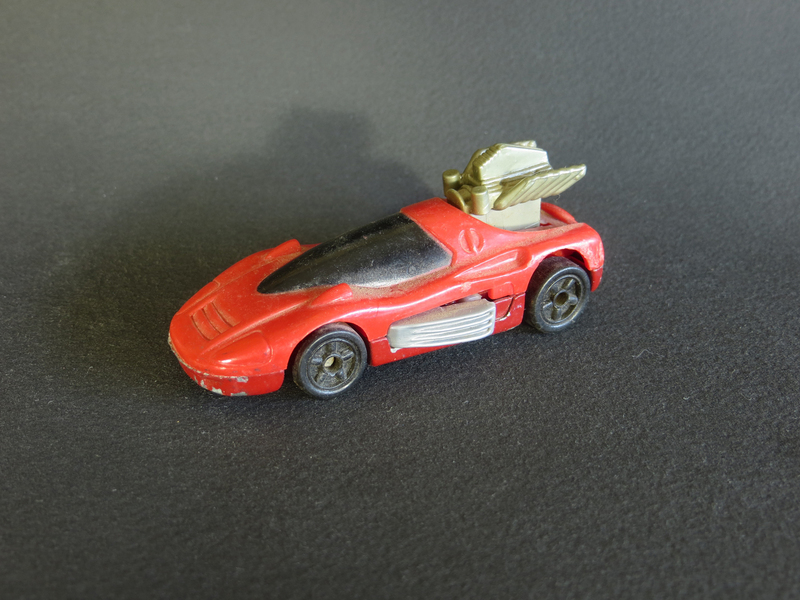 This is the only Majorette that I had in my childhood collection. It’s kind of a mystery what make it actually is (European? ), but it’s fitting for me because my dad took us on many camping trips in a yellow pickup with a white camper shell. At some point I cut open the back door to the camper. 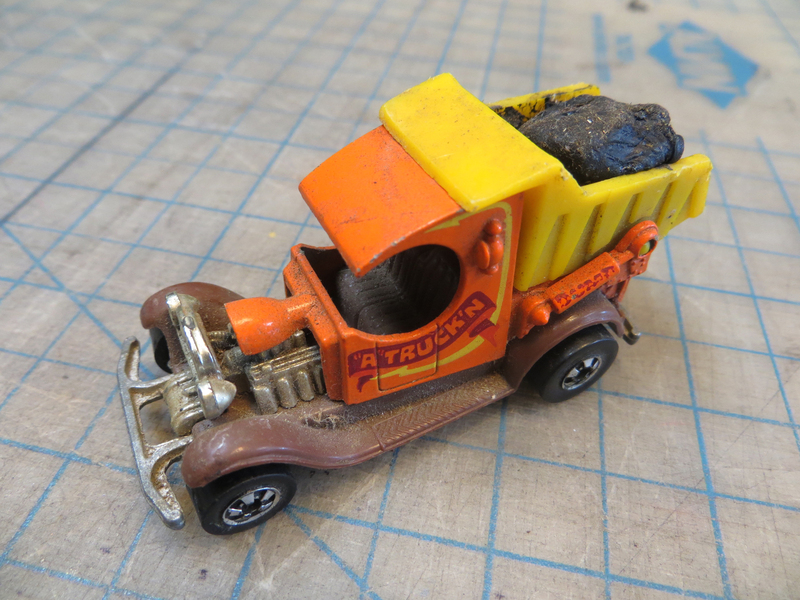 The fun thing about this toy, is that you can remove the camper shell and it turns into a maintenance truck! 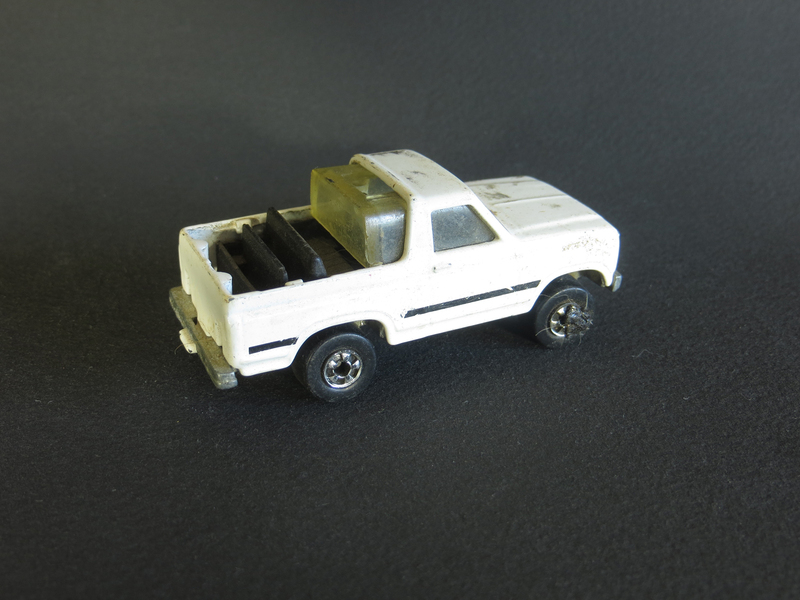 Three LCV (light commercial vehicle) versions with van, pick-up truck and High Top Van bodystyles were also available. In France and most European markets these were sold as the “Simca 1100 Fourgonnette”. In the UK the high-roof van was called the Simca VF2 (short for “Voiture Fourgonnette”), and was sold from December 1972. The regular low-roof van was called the VF1, while an even higher roofed version introduced for 1978 became the VF3. 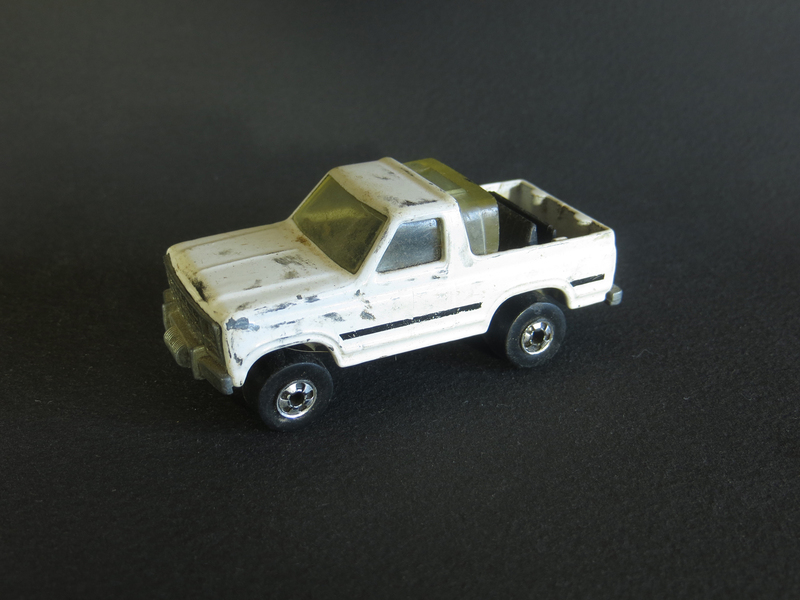 The pick-up model arrived in December 1975. Commercial versions lasted until the spring of 1985, three years after the 1100 passenger car models had been removed from the market. In the United Kingdom, commercial models assumed the Dodge nameplate after 1976 and were called Talbots after 1979. The commercial models were sold as ‘Simca Fixaren’ (“the fixer”) in Sweden, where they were fitted with a 66 PS (49 kW) version of the 1.3 litre engine. I borrowed a photo from the internet. Does it look the same to you?